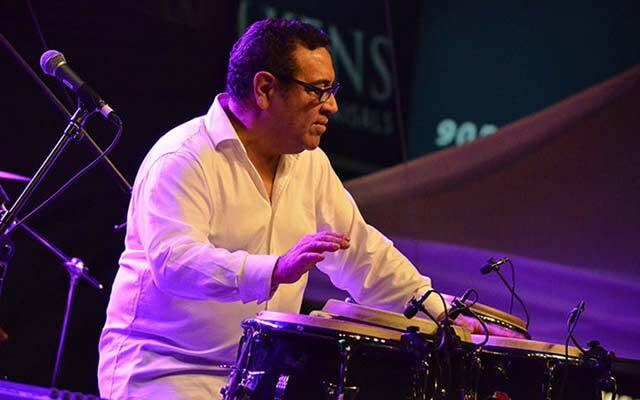 If you are one among the group who considers Sammy Figueroa to be a percussionist’s percussionist you might as well count yourself in a sizeable majority. 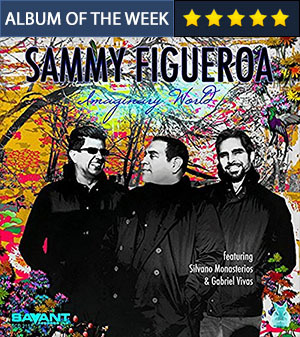 Strip away the showmanship of the ‘live’ Sammy Figueroa and you have a multi-instrumentalist whose musicianship is among the finest among any instrumentalist’s across instruments. As a percussionist he has a sublime sense of time and space. He thinks like a pianist – that is to say, a melody-maker and harmonist, and rhythmist all rolled into one, who is essentially playing a percussion instrument. And because of this he hears and plays melodically and harmonically even as he’s playing rhythmically. His technique is non pareil and it doesn’t take you long to become accustomed to nuanced ways of striking his congas – slapping with open and cupped hands and often simply brushing the skins as if caressing them. This record Imaginary World comprises nine songs, none of which have been composed by Mr. Figueroa. This is not unusual for him and he is left to focus on his role as a percussionist. What he does do, as a result, is control the pace and tempo of the music. While The composers might suggest the time signature, it is Sammy Figueroa who sets the pace, creates the tempo and in many ways manipulates time and space to accommodate his perception of time and space. No one understands this better than Silvano Monasterios and Gabriel Vivas – two of the mainstays in Mr. Figueroa’s ensembles – and they have delivered music in which the master truly shines. His virtuosity is endless. Time and again he sets up a convention or ‘polished galanterie’ only to enliven and vivify it with a teasing assortment of diversions and surprises. In its proto-history the drum was used as a speaking voice, not only communicating with people and places at great distance, but more to those sitting around the proverbial fire, where its voice barely rose above the crackle of the fire. Human voices silenced, the drum spoke – sometimes in whispers. If you had ears then you would hear. This is how it often feels listening to Sammy Figueroa: his playing is so primeval, so viscerally exciting and yet so full of futuristic prospects. While honouring tradition Mr. Figueroa constantly points to the future. Through sheer physical insistence he is able to define his own existence; melodic fragments cut like serrated knives, obsessively struck chains of cluster formations make his drums resonate like you never heard before. The lush arrangements of Mr. Monasterios and Mr. Vivas make it easy to become prey to their charms. More importantly the manner in which the nonet play them makes you wonder if you are listening to a chamber orchestra. With the superior technical gifts of Sammy Figueroa who allows his infectious personality to ‘sing’ through the repertoire with taste and intelligence this programme becomes one for the Latin-Jazz history books as well. That being said, the target audience for Imaginary World isn’t for guitar nerds – not that there isn’t much to enjoy here for the most discerning aficionados such as a beautiful arrangement of “Bittersweet”, for instance, or “Alegria” as well. No, this is music not just for ‘Latinos’ but more for those who inhabit the world of percussion and lovers of repertoire that is written for it. Imaginary World is just so good that it deserves the widest possible audience. Truth be told, they would love every minute of it. Track List: Bittersweet; Waiting for You; He Didn’t Know; Flow of the Universe; The Jumping Blue Jay; Imaginary World; Alegria; Mysterious Energy; Cuidado. 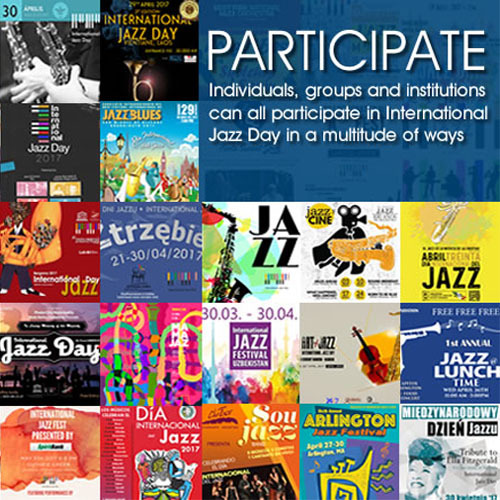 Personnel: Sammy Figueroa: percussion; Silvano Monasterios: piano; Gabriel Vivas: bass; Alex Pope Norris: trumpet; Troy Roberts: saxophone; David Chiverton: drums; Chico Pinheiro: guitar (5 & 8); Cisco Dimas: trumpet (1); Hal Batt: synthesizer.